Christmas is getting close. In some parts of the world people still make Santa Claus from the North Pole as a hero. Some families allow the Santa Claus myth told to the children, but other families band this character. Well, that is a choice. Anyway, what is quite interesting about the myth is the imaginative Santa’s headquarter with the workshop and the toy factory. Using this imaginative object, you might do some projects. 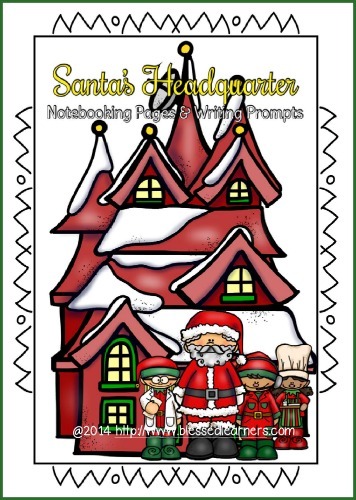 For that purpose, you might download Santa’s Headquarter Notebooking Pages and Writing Prompt FOR FREE and give it to your children as a way to build their imagination.